Stroudsburg insurance agency, Frailey Insurance and Financial Services, named Chastity A. Brun Member Protection Sales Associate. She has more than 16 years of experience within the Insurance Industry and a background in account management. 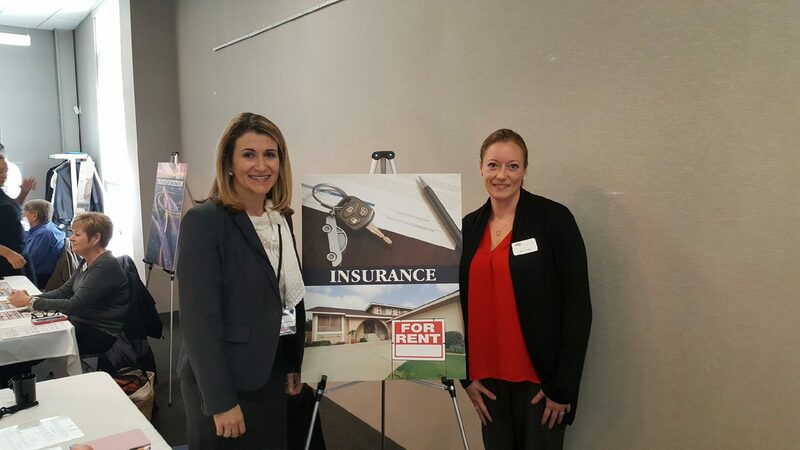 As an insurance professional Brun will focus on increasing the agency’s client base while concentrating on new sales and promoting new products. Brun’s experience and knowledge within the insurance industry provides the skills necessary to ensure her clients have peace of mind. 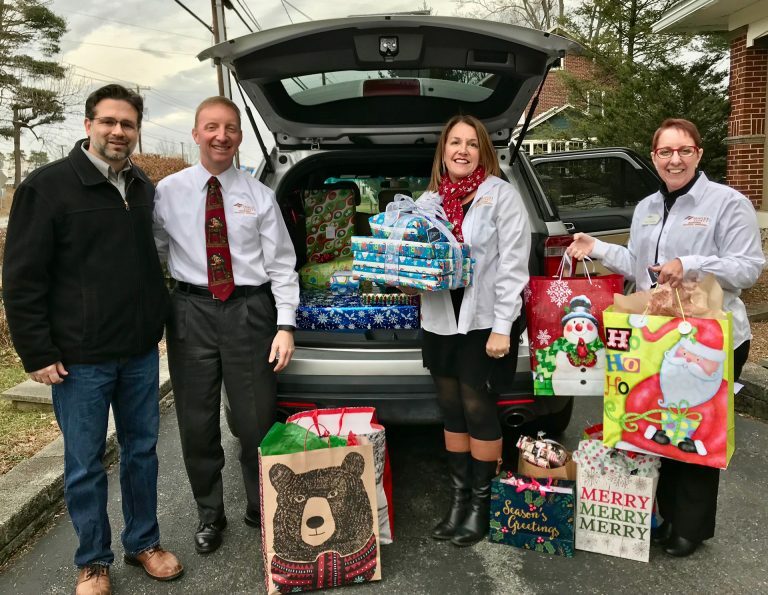 (Stroudsburg) Recently team members at Frailey Insurance and Financial Services helped to load numerous gifts collected through the “Angels for Aging” campaign. 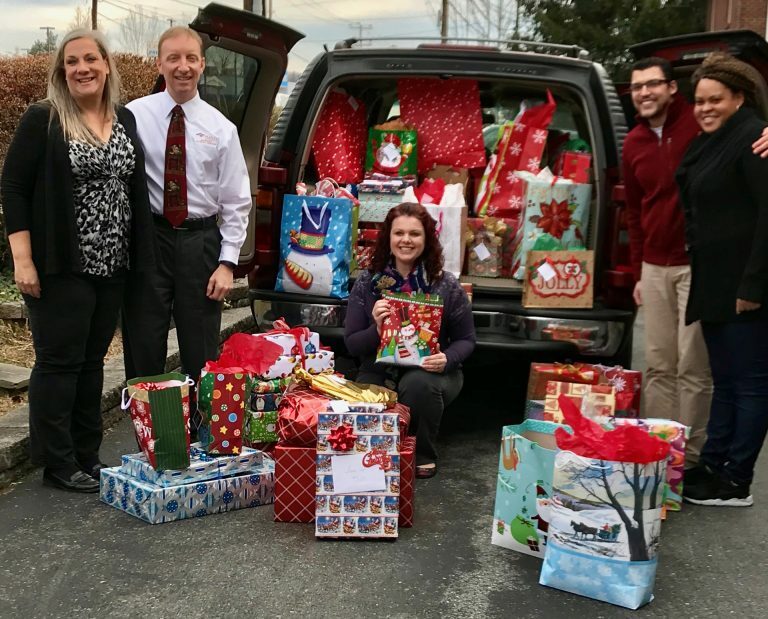 These gifts were donated by clients, team members, the public, service clubs, and local businesses such as Phoenix Athletica, LLC. 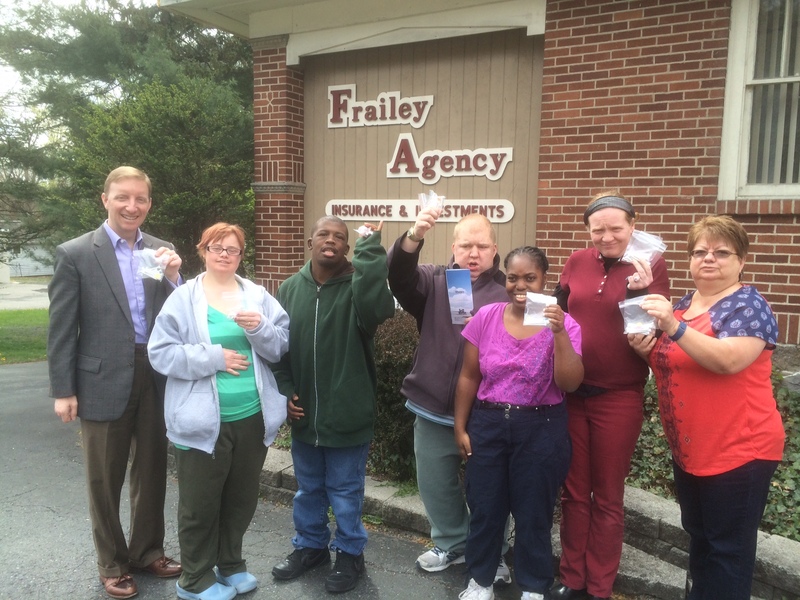 Frailey Insurance and Financial Services partnered with Monroe County Area Agency on Aging and The Gardens at Stroud. Every gift donated through this campaign was given to a Monroe County senior. Gifts included essentials, cozy bed blankets, and adult coloring books. 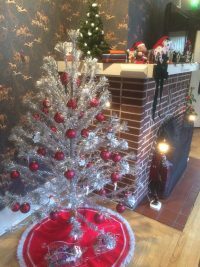 In its seventh year, this campaign continues to show seniors their community cares about them. 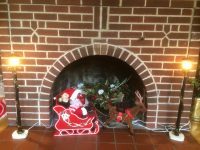 “On behalf of The Gardens at Stroud we would like to extend our deepest gratitude for the gifts the Frailey team is providing to our residents this Christmas season. 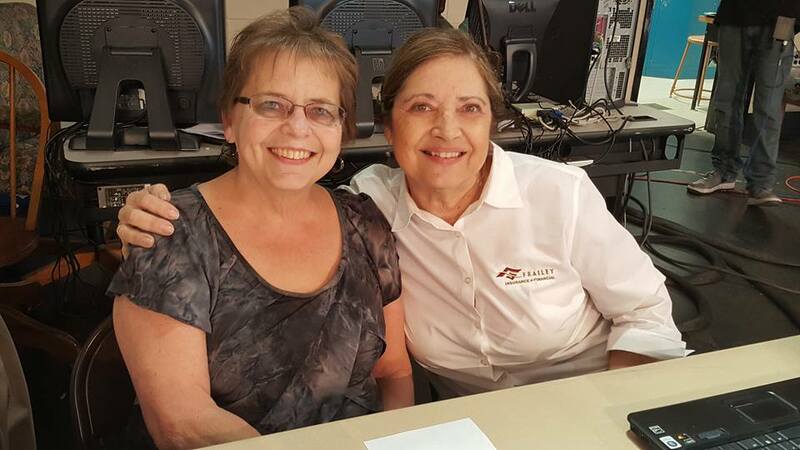 Our community is blessed to have an organization such as yours so gracious and caring. 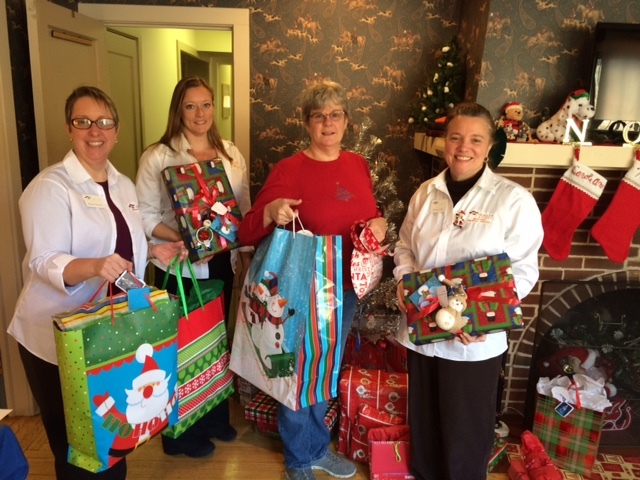 Your kindness and generosity will reach the hearts of so many of our residents this holiday season. 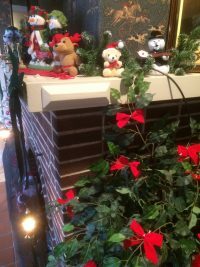 These gifts are a beautiful reminder of the kindness that exists in our community and they will help bring joy to some of the most deserving and often forgotten people in our community,” says Stephen Maganzini, Administrator, The Gardens at Stroud. 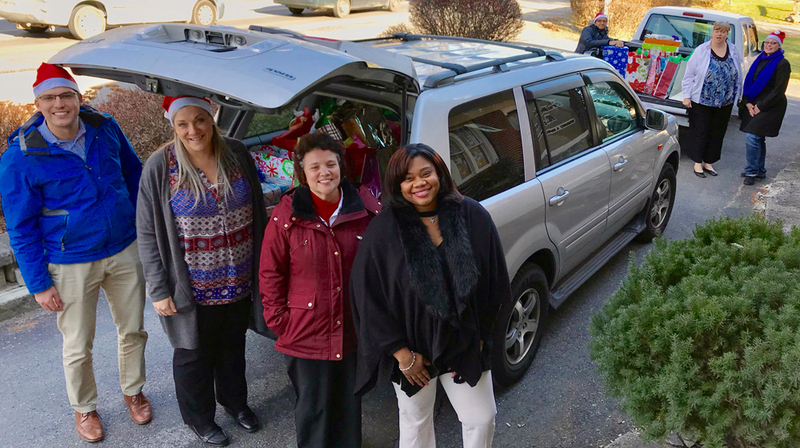 Kristina Trostle, Outreach, Intake, Referral & Assessment Supervisor, Monroe County Area Agency on Aging helped to load and distribute the gifts. 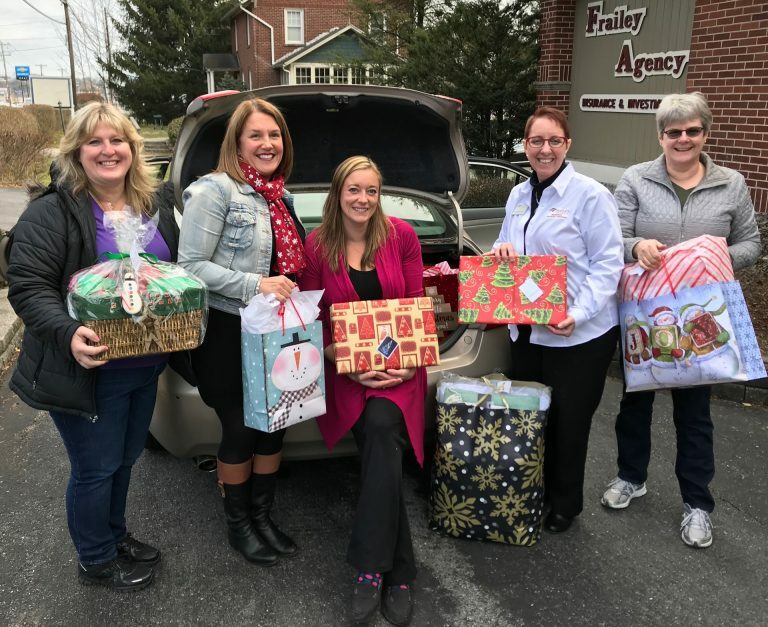 “Monroe County Area Agency on Aging is humbled by the overflowing generosity of Frailey Insurance and Financial Services. Aging care Managers nominate low-income seniors who receive services and lack a support system. For most of these seniors, the donations from this campaign will be the only gifts they receive this holiday season. 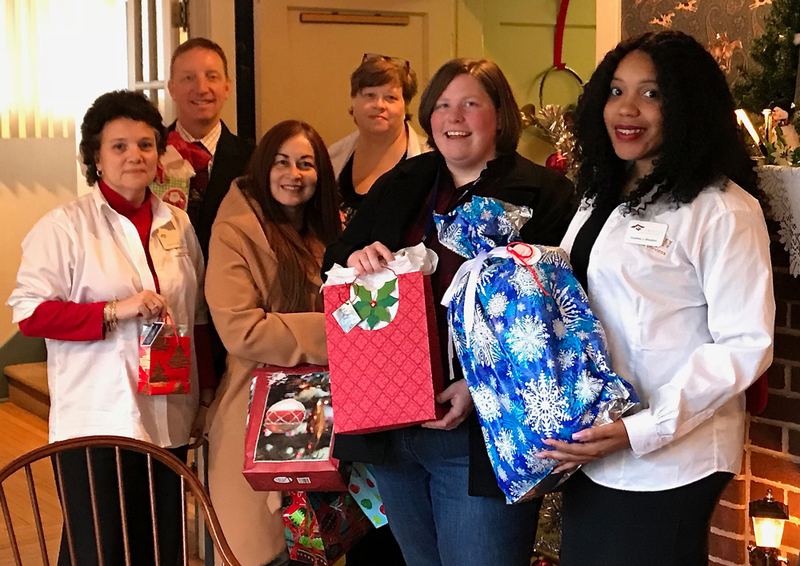 Thanks to the Frailey team, Monroe County’s most vulnerable, and often forgotten seniors; will receive joy this holiday,” states Trostle. 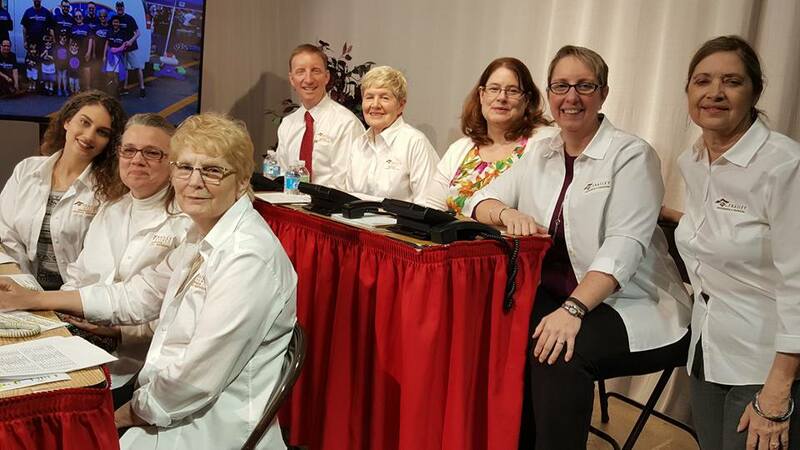 If you would like the Frailey team to partner with your organization, you may contact Carole’ Ann F. Bowyer at 570-421-7447 x105. 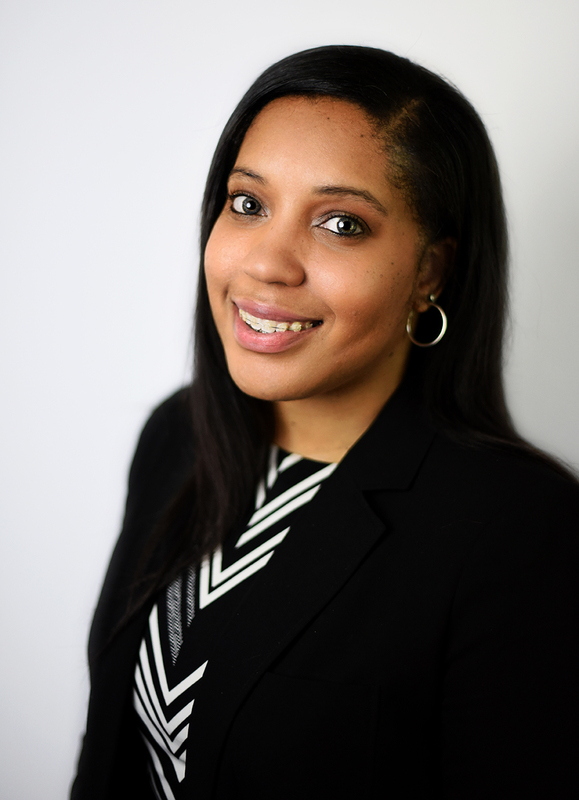 Courtney J. Woodson, Member Protection Sales Associate, Frailey Insurance and Financial Services, is a member of the GPCC Young Professionals Committee. 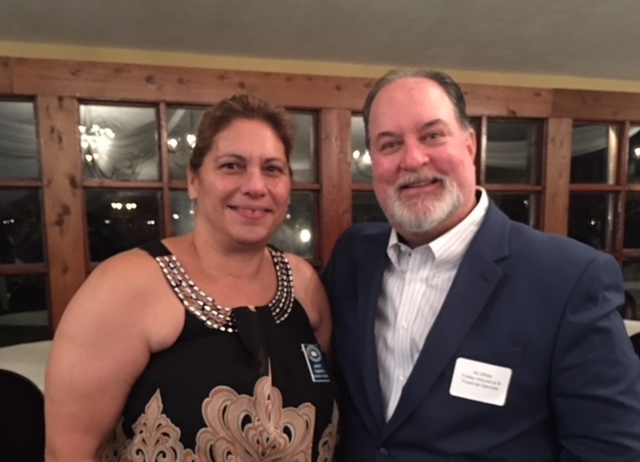 Art D. White, Commercial Sales Representative, Frailey Insurance and Financial Services, attends the 2018 Building Awards Dinner at Stroudsmoor Inn. 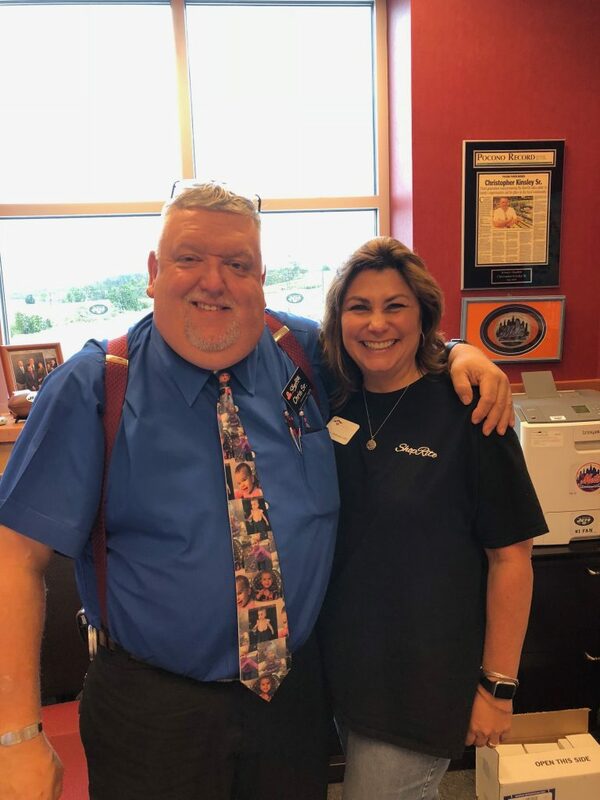 (Photo left to right)Janet Campis, Executive Director, Pocono Builders Association, and Art D. White, Commercial Sales Representative, Frailey Insurance and Financial Services. 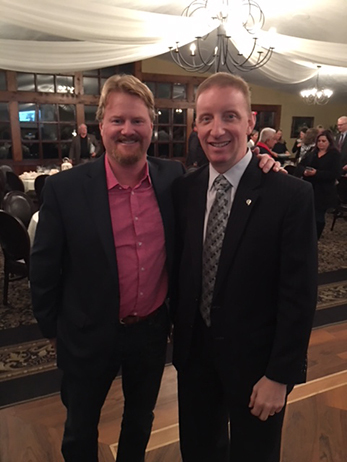 Michael J. Frailey, CEO, Frailey Insurance and Financial Services attends the 2018 Building Awards Dinner at Stroudsmoor Inn. 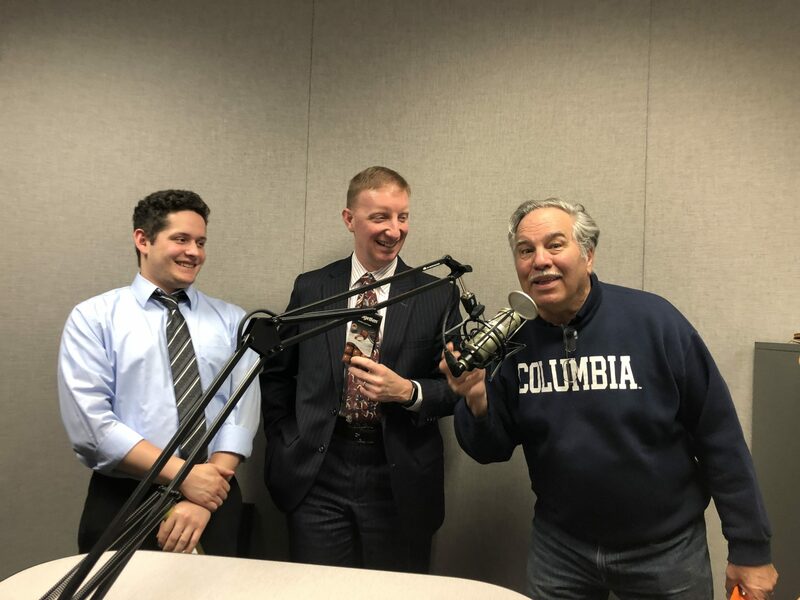 (Photo left to right) Bob Buff of Buff Construction and Michael J. Frailey, CEO, Frailey Insurance and Financial Services. 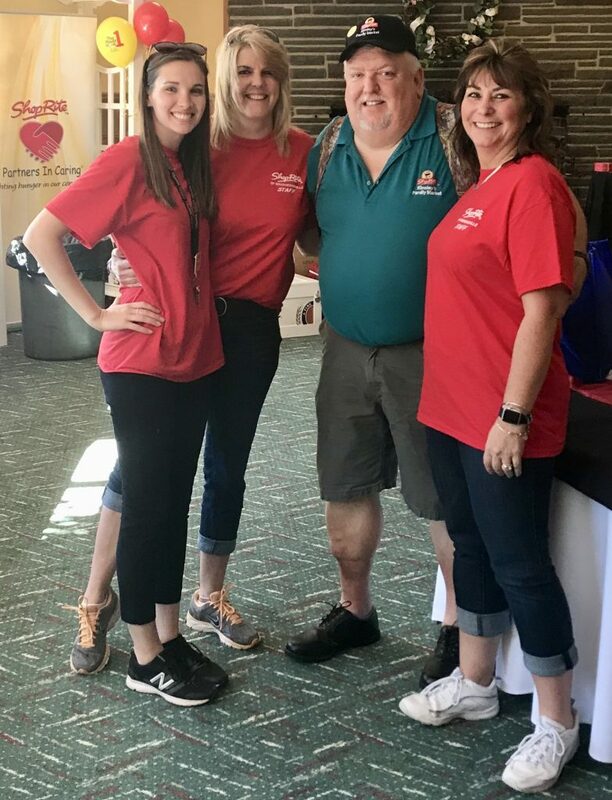 Recently Frailey Insurance and Financial Services participated in the 24th Annual Grocer’s Fight Cancer Day Event at Kinsley’s ShopRite in Brodheadsville. 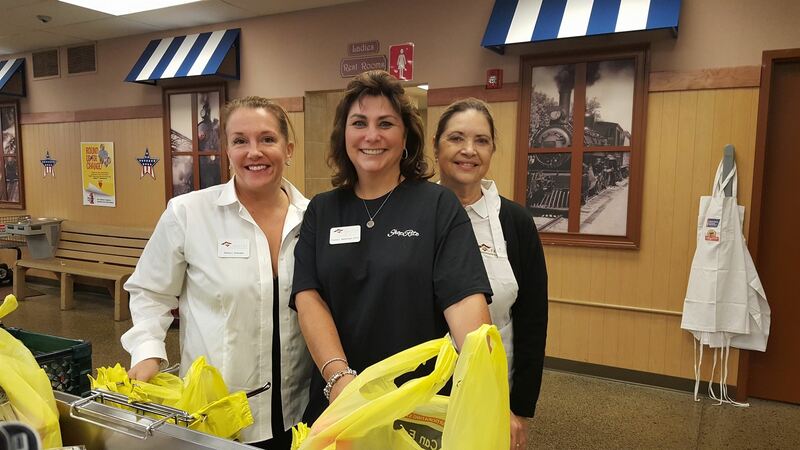 “Our Celebrity Bagger,” Yvonne Reitemeyer, helped raise awareness of cancer and enjoyed bagging groceries throughout the morning. The Kinsley Family donated a portion of the sales to the Monroe Unit of the American Cancer Society. 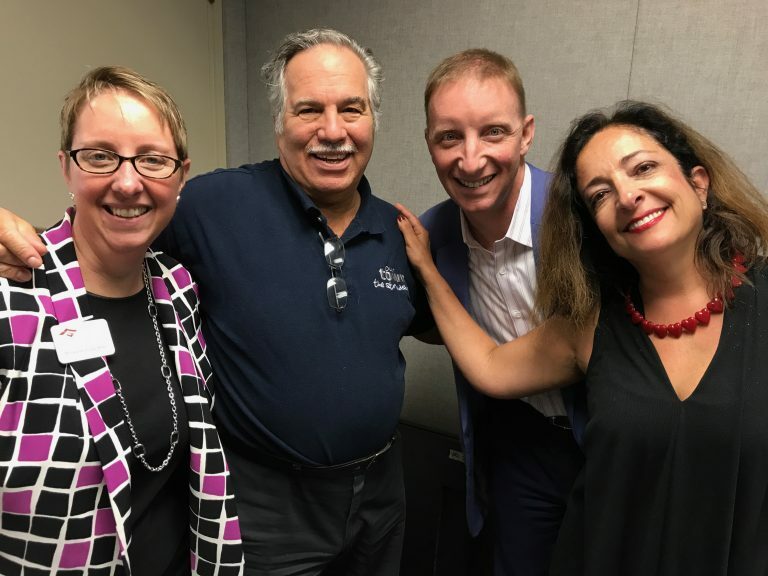 Chris Kinsley, Kinsley ShopRite, and Yvonne L. Reitemeyer, Frailey Insurance and Financial Services. Smiling faces during Kinsley’s ShopRite 5th Annual Golf Invitation. 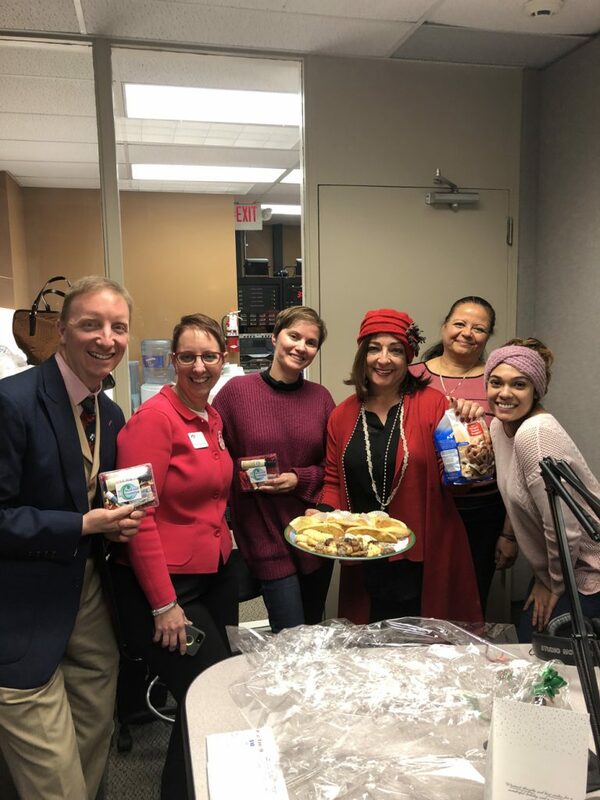 Proceeds benefit the ShopRite Partners in Caring Foundation, a non-profit organization that helps to fund food cupboards thorough the Allentown Second Harvest Food Bank network. 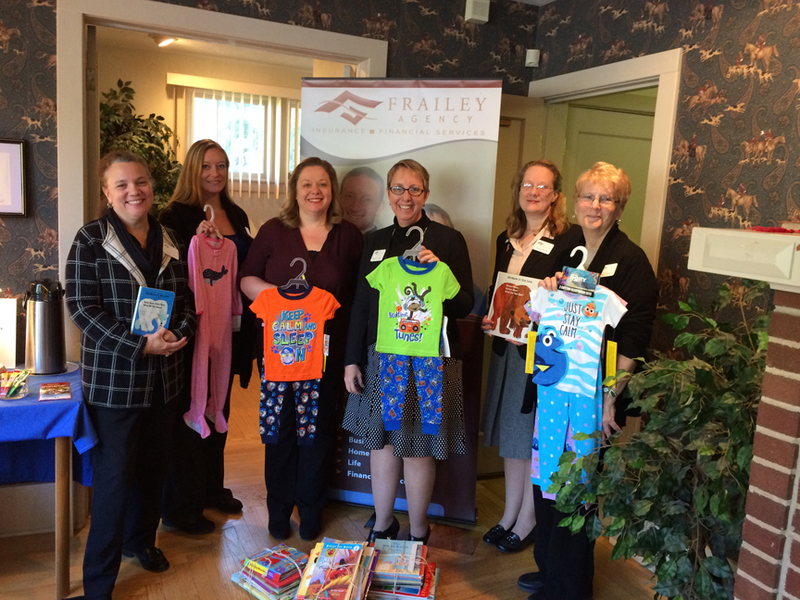 Frailey Insurance and Financial Services has supported Devereux Poconos’s custom printed golf tee program since 2012. Contact us to see how this program can help your brand too. Stroudsburg insurance agency, Frailey Insurance and Financial Services, named Courtney J. Woodson Member Protection Sales Associate. 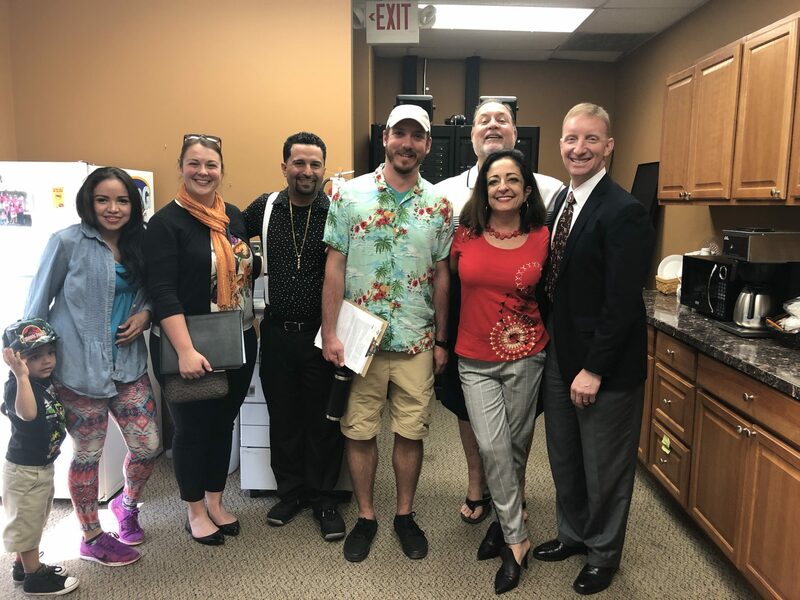 Mid-May of 2018 Woodson passed the state exam for her Property and Casualty license and has been meeting and servicing clients ever since. 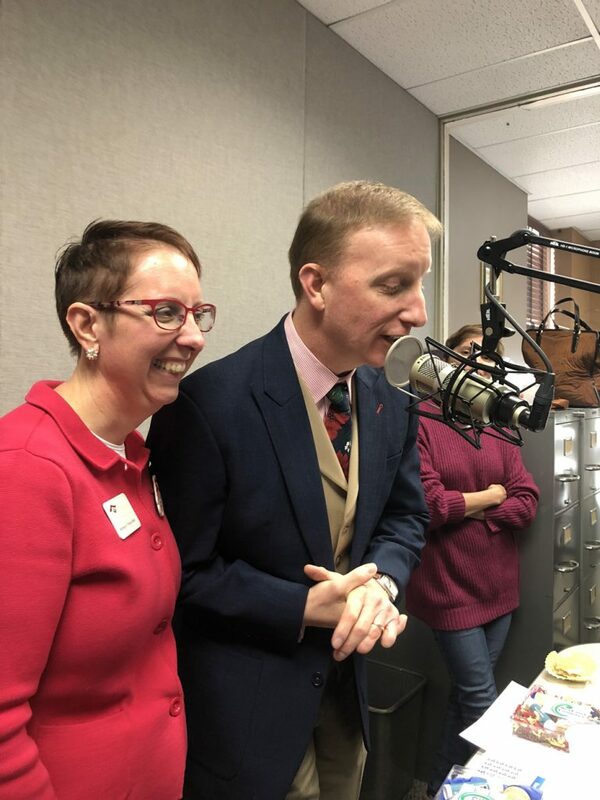 As an insurance agent Woodson will focus on increasing the agency’s growth and satisfying the needs of existing clients. She graduated from Rutgers University with a Bachelor’s degree in Sociology. 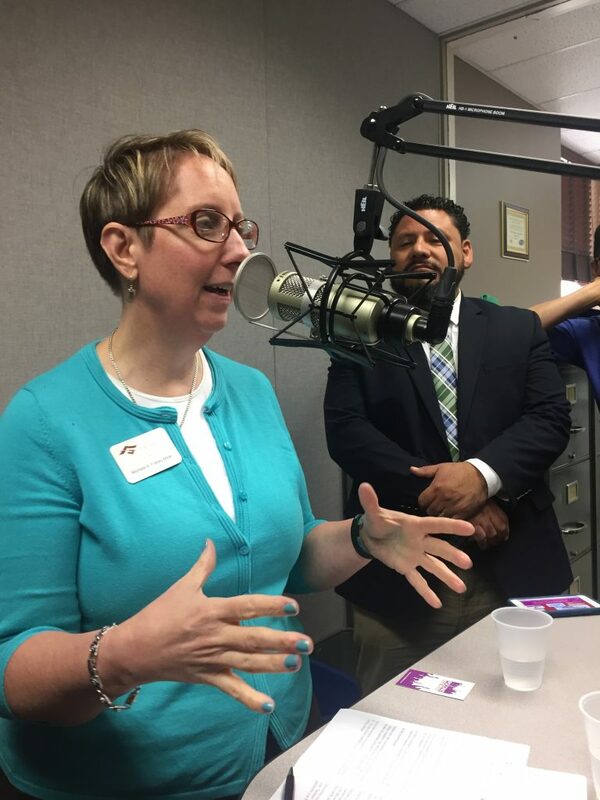 Prior to getting her license, she has spent most of her professional career in Human Services as a Director of programs for adults with disabilities. Moving from Teaneck, NJ, to East Stroudsburg, PA, she’s currently her mother’s caregiver and a mother to a daughter, an East Stroudsburg Mini Mountie cheerleader. Whenever her daughter and nephew need a chaperon for a class trip or a volunteer for a class project, Woodson doesn’t hesitate to lend her support. She understands the true meaning of “protecting what matters” most which is the family. 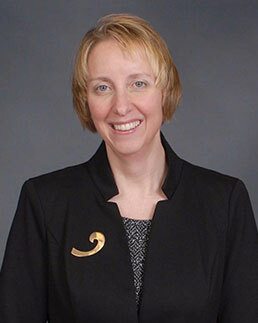 (Stroudsburg) Yvonne L. Reitemeyer, a financial advisor of Frailey Insurance and Financial Services and a 2013 Warren County Community College graduate is now a member of the WCCC Board of Trustees. She was appointed to the Board by N.J. Governor Chris Christie. Reitemeyer has a very extensive resume and is currently on the Board of Directors for the National Association of Insurance and Financial Advisors, Lehigh Valley. 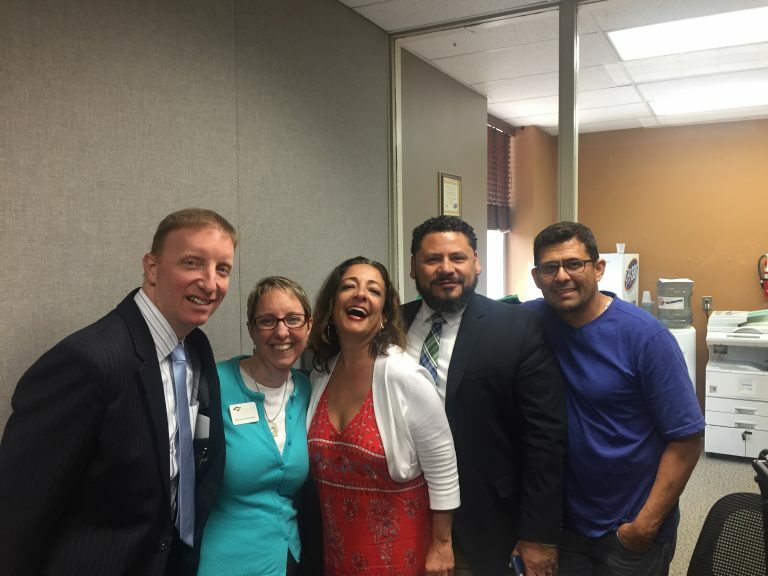 In her community, she formerly served on the Lopatcong Township Council, was the Vice President of the Lopatcong Township PTA, and currently serves as secretary of the Phillipsburg High School Soccer Booster Club. She is a resident of Lopatcong Township, New Jersey, married to Mark and a mother of 2. For more information, contact Yvonne L. Reitemeyer at Frailey Insurance and Financial Services, 570 421-7447 x233 or reitemy@nationwide.com. During the fall tack swap at Johnsonville Farm & Garden in Bangor, Frailey Insurance and Financial Services was represented by Sandy Haley, the Farm Account Manager. Not only was she able to sell some of hertack, she made a few contacts with fellow horse-lovers. 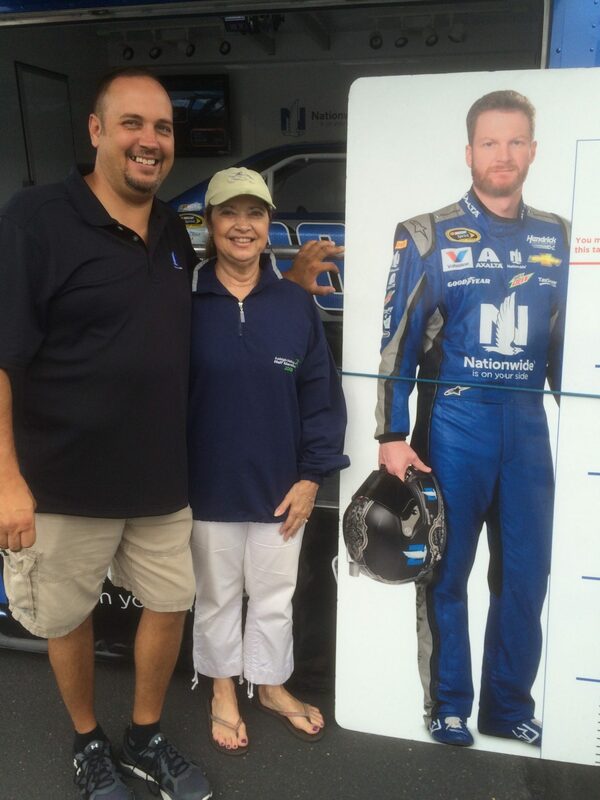 A raffle prize was donated by the company and the winner was Amanda Laforest. (Stroudsburg) Arthur “Art” D. White has been hired as a commercial sales representative, focusing on sales growth while fitting business needs to adequate insurance coverage. He has more than 25 years of experience and extensive property & casualty insurance experience. 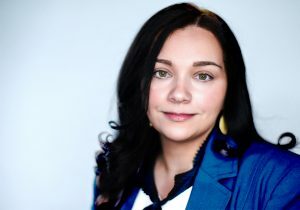 White has successfully launched niche insurance programs nationwide and has written hard-to-place business protection. His financial and business background provides value-add to clients when discussing insurance needs. He delivers a perfect fit in todays “not a ‘one-size fits all’ protection package” to all types of business owners. 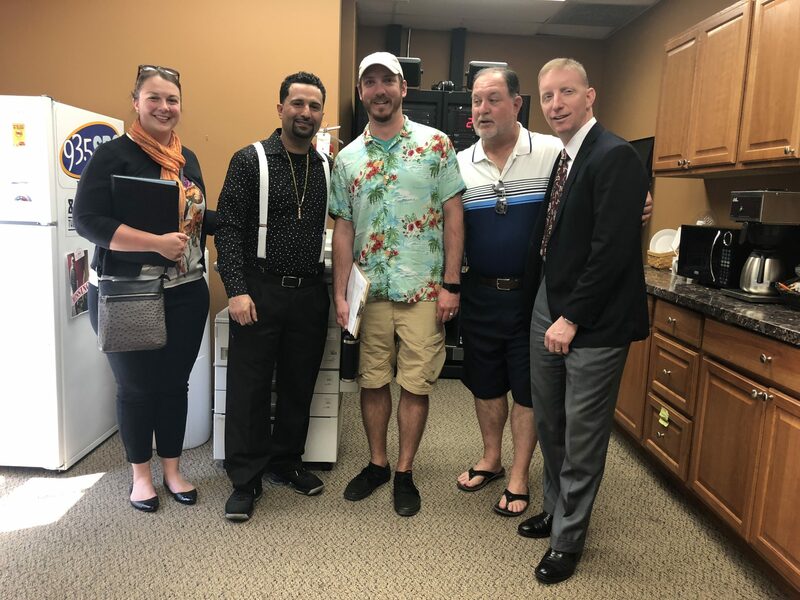 “As a former owner of my own business and my experience working with small to large companies, I am able to help clients protect their business, meet their insurance goals and financial requirements,” said White. He is currently a member of the Stroudsburg BNI Chapter and a graduate of Fordham University with a Bachelor of Science degree in Accounting and Finance. 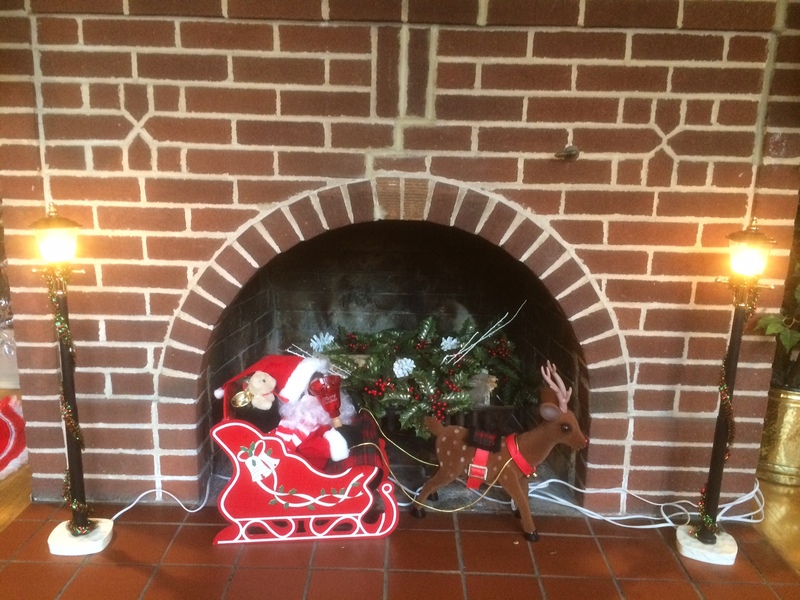 Living in Blairstown, New Jersey, he enjoys golfing and volunteers for the Blairstown Dog Park. For more information, contact art@fraileyinsurance.com, 570-421-7447. 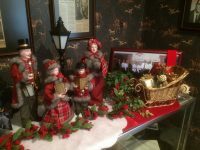 Each year the Kinsley Family donates a portion of the sales to the Monroe Unit of the American Cancer Society. Kinsley’s ShopRite and Frailey Insurance and Financial Services thank you for your support. Frailey Insurance and Financial Services will be in business for 80 years. For more info, check out our History page. Michele A. Frailey-Miller , Sergeant Shawn Goucher and Michael J. Frailey. 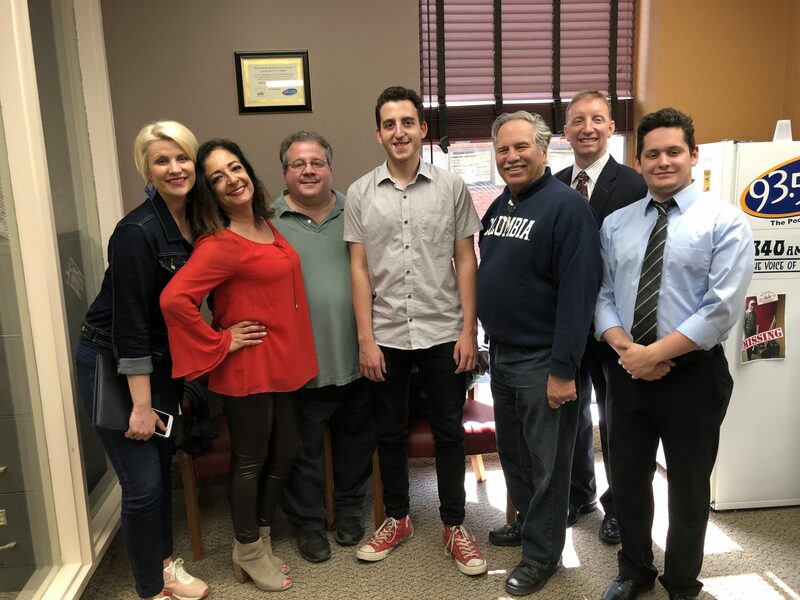 (Stroudsburg) – Frailey Insurance and Financial Services’ team, their members, and the public once again came to the rescue. 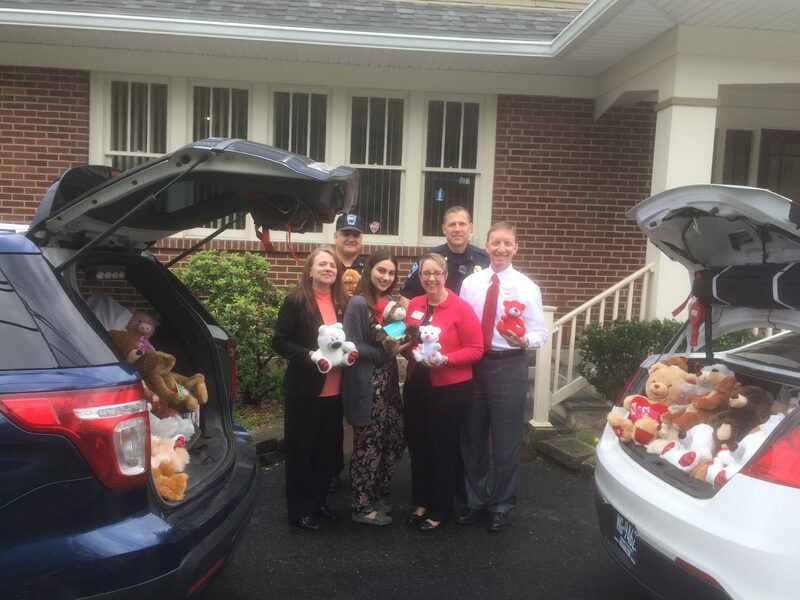 During the months of March through May, we collected a 2+ year supply of bears for the Pocono Township Police Department. 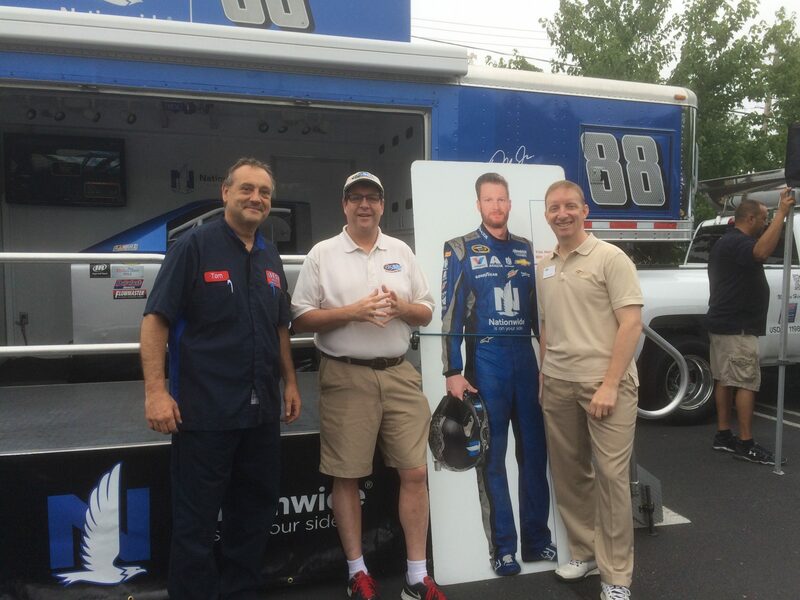 “We’re always humbled by the show of support we receive from the community. We’re so happy we were able to replenish the Pocono Township Police Department supply and we’re thankful for the number of individuals and businesses who stopped by to drop off bears,” states Michael J. Frailey, Chief Executive Officer. 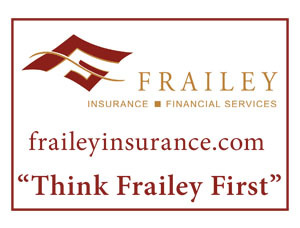 For more information about Frailey Insurance and Financial Services, visit fraileyinsurance.com or call 570-421-7447. 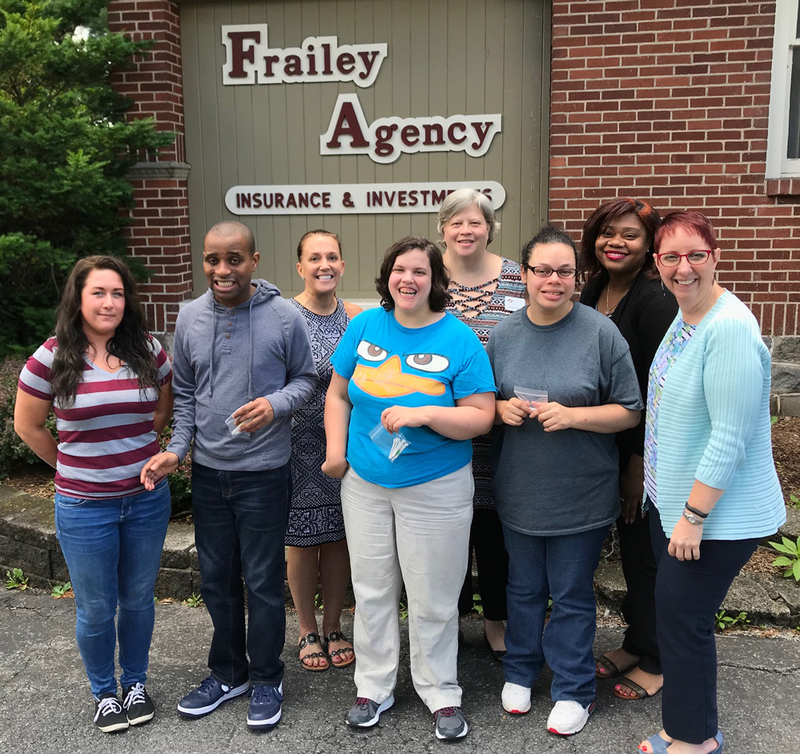 STROUDSBURG, PA – Michele A. Frailey-Miller, of Frailey Insurance and Financial Services, has participated in a training program offered by The National Underwriter Company. We are happy to announce Frailey-Miller met the rigorous standard required for the designee status of “CLCS”, Commercial Lines Coverage Specialist. The “CLCS” designation was developed by The National Underwriter Company to encourage and recognize excellence in understanding and applying coverage expertise in commercial property and casualty insurance. Frailey Insurance and Financial Services is located at 1286 N. Ninth Street in Stroudsburg, PA.
For more information, visit fraileyinsurance.com or call 570-421-7447 and ask for Michele. 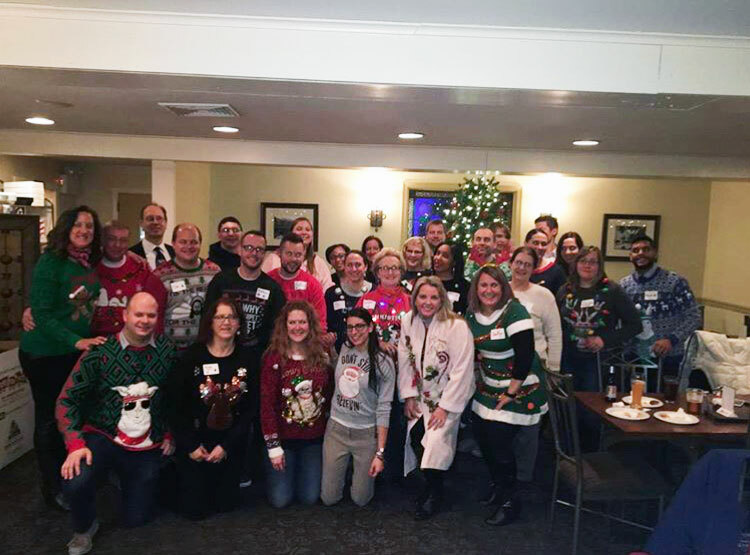 Recently the team at Frailey Insurance and Financial Services volunteered during Auction 2017 by the Auxiliary of Lehigh Valley Hospital-Pocono. Answering the phones, announcing numerous items, and logging the bids were just some of the duties. This year’s event raised approximately $20,000. 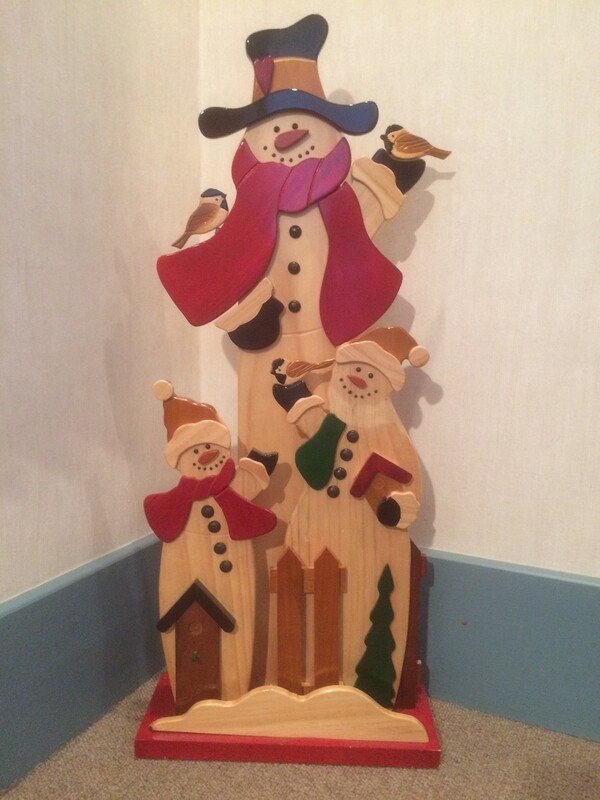 All proceeds benefit the Women and Children Endowment, Pocono Health Foundation. Check out our video interview! COLUMBUS, OH – For the past three years, Michael J. Frailey, of Frailey Insurance and Financial Services served on the Nationwide National Agent Advisory Council. During that time he met with the President and Senior Officers of Nationwide Insurance Company. 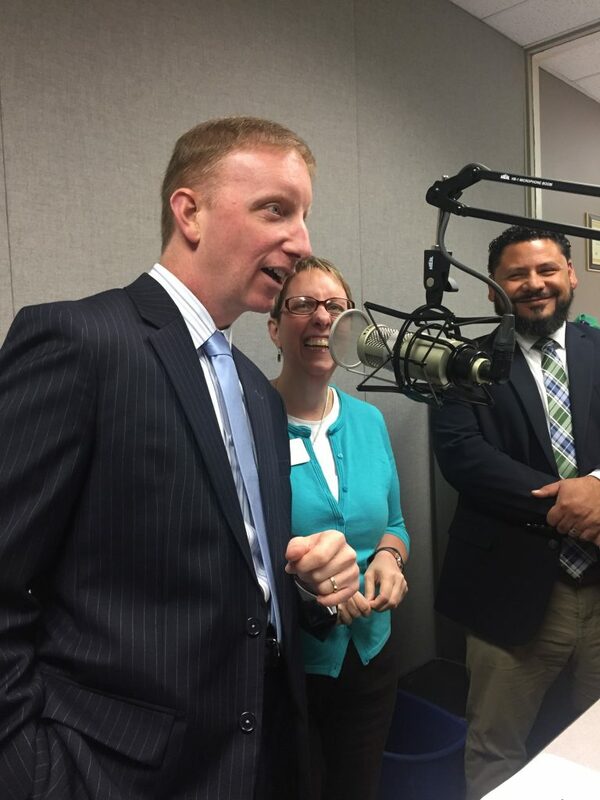 Frailey’s input and feedback was instrumental in giving senior leaders insight as they worked their way through the many agency changes Nationwide is now implementing. 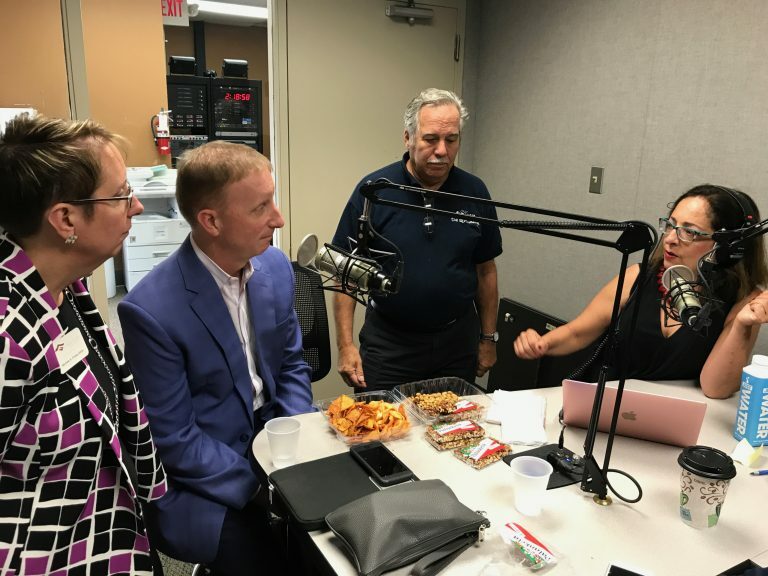 Through discussions about client retention, member relationships, industry growth, company direction and future plans, Nationwide gained a different perspective about their members needs and what type of services they require. 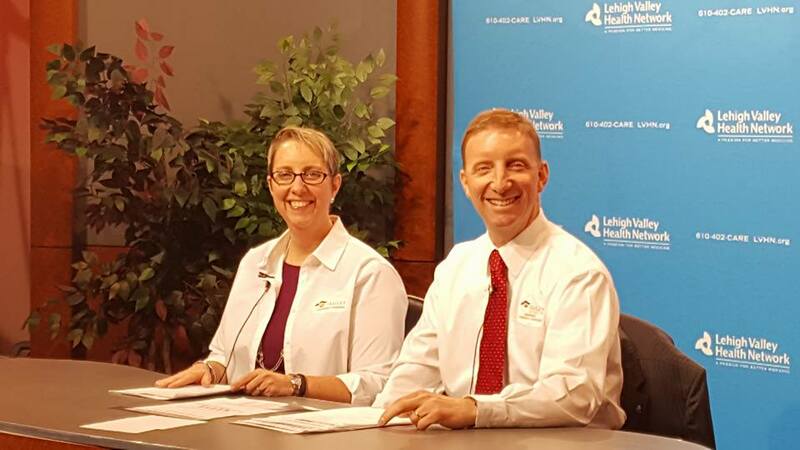 “Our members are now better served as these discussions result in a better insurance experience and overall value for our Monroe County residents,” states Frailey. For more information, contact Michael J. Frailey at 570-421-7447 or visit http://www.Nationwide.com/michaelfrailey. What overwhelming support! 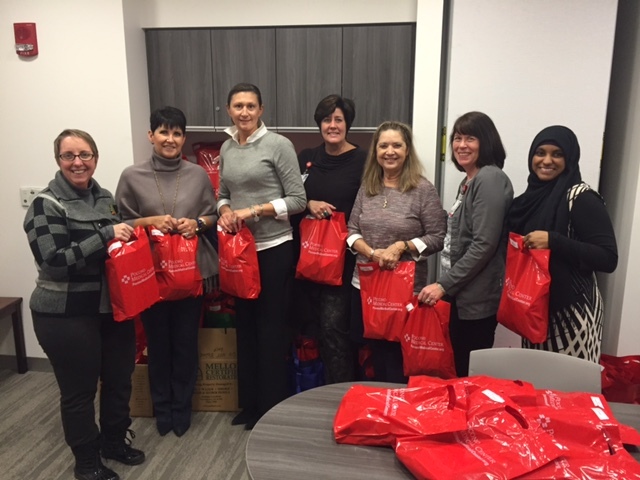 We packed more than 100 chemo comfort bags for patients starting treatment at the Dale and Frances Hughes Cancer Center. 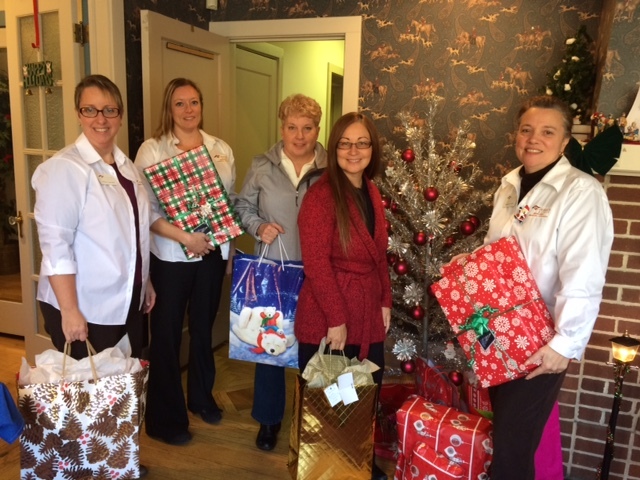 Items were donated by more than 22 local businesses collected by the Hope for Strength Breast Cancer Fund volunteers. 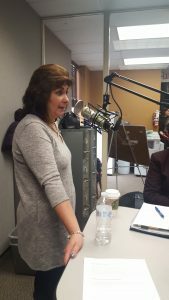 Sandy E. Haley of Frailey Insurance and Financial Services, recently joined other community businesses at Northampton Community College, Monroe Campus. Approximately 70 students attended the Financial Reality Fair sponsored by American’s Credit Unions and PSECU. 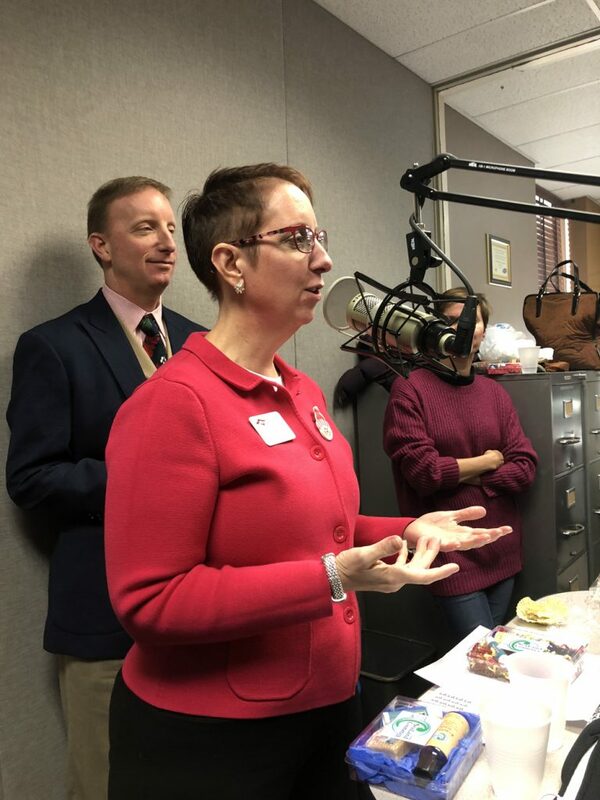 It was a “real world” exercise where students had the opportunity to choose goods and services needed in everyday life, from car payments to insurance coverage. “I enjoy participating in this type of budgeting exercise as it gives students some practical knowledge about personal financial management in a one-day “real world” environment”, states Haley. 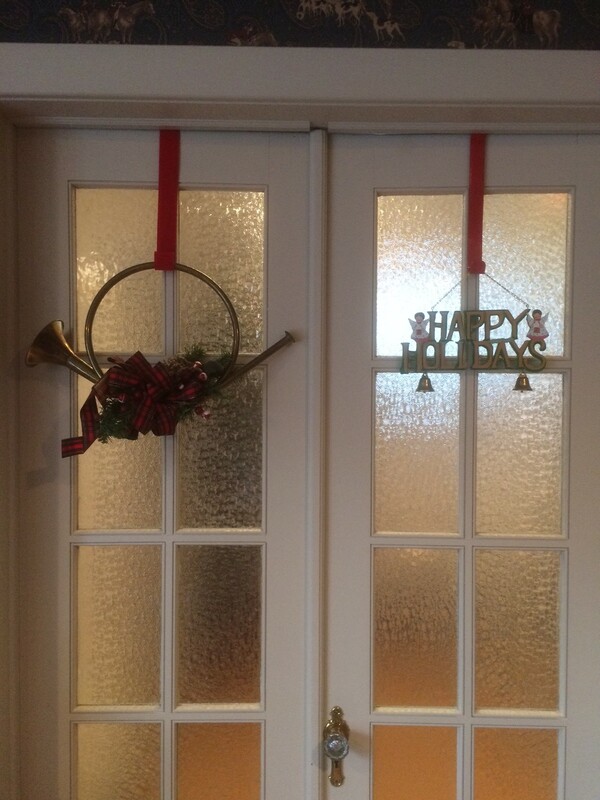 We’re decorated for the holidays! (Stroudsburg) The “Pajama Program” is a national program that provides pajamas and books to children in need. Throughout the months of August and September, the Frailey team collected a generous supply; in early October, these donations were provided to Diane P. Rogers, Program Manager II, Foster Care Unit, of Monroe County Children & Youth Services. 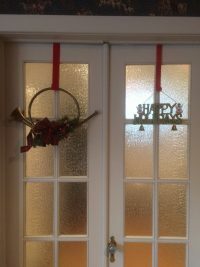 “It was with heartfelt appreciation that I accepted your donations. The number and quality of pajamas plus the diversity of children’s books is incredible. Each of the donated items will provide comfort to a child that is in a challenging circumstance, such as in an out of home placement or living in a shelter. The children will be warmed by the pajamas and entertained by the fantastic literature,” stated Rogers. Any organization wishing to partner with the Frailey team can contact Carole’ Ann F. Bowyer, Marketing Adviser, cabowyer@fraileyinsurance.com, 570-421-7447. 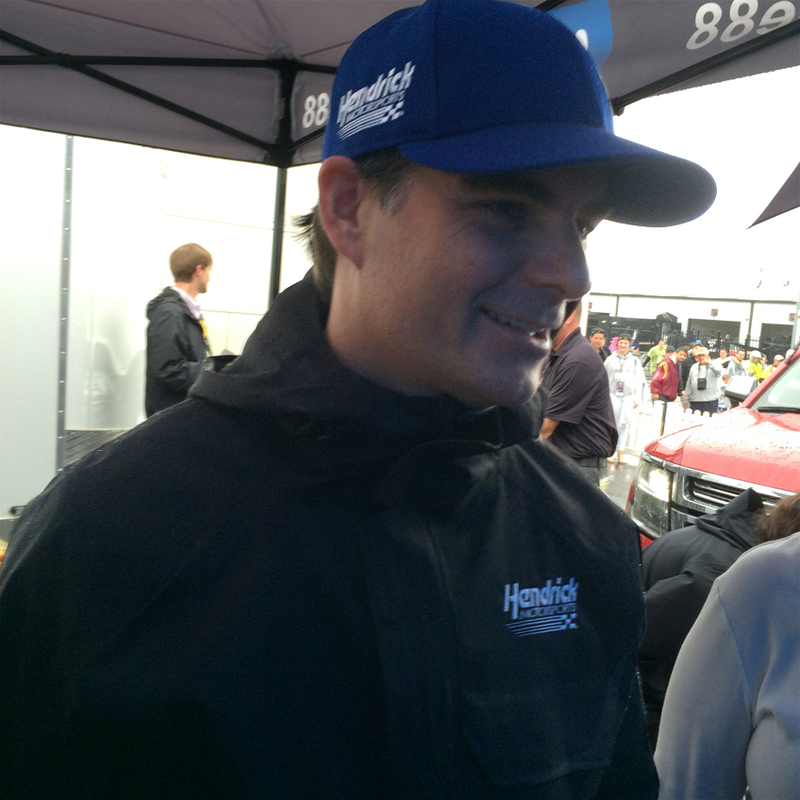 Jeff Gordon at the driver/team meeting before the PA 400 Race. 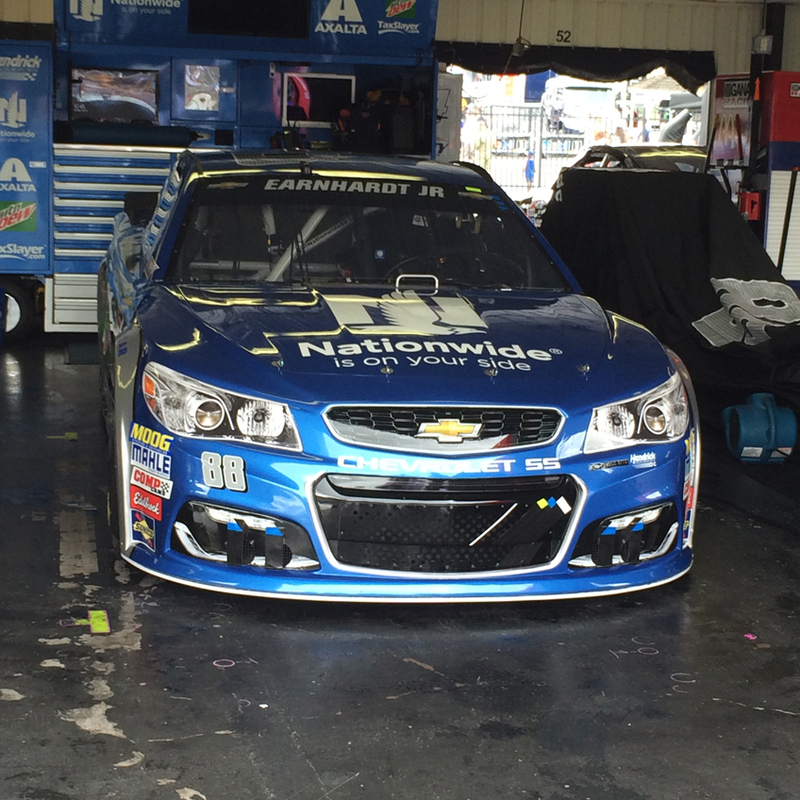 Dale Earnhardt Jr. No.88 car sitting in garage ready and waiting to start. 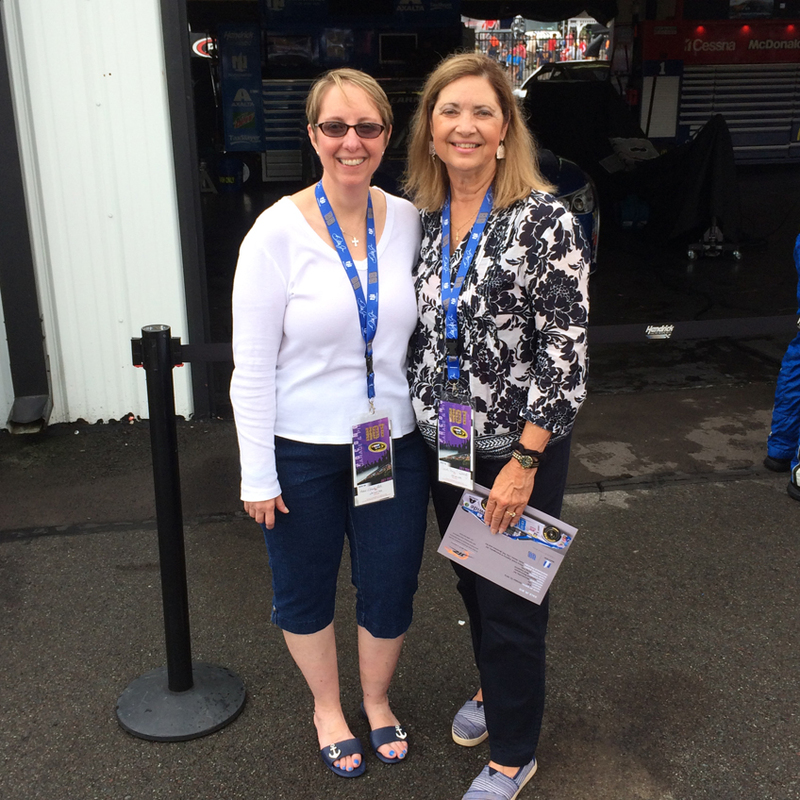 Michele A. Frailey-Miller, Chief Operations Officer, and Carole’ Ann F. Bowyer, Marketing Adviser, in the garage area. Since 2012 Frailey Insurance and Financial Services has participated in Devereux Pocono’s custom printed golf tee program. To find out more about the Frailey Agency and how the golf tee program can help your brand, contact info@Fraileyinsurance.com or 570-421-7447 x 223. 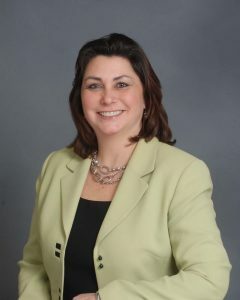 (Stroudsburg, PA) ― May 19, 2016 ― Yvonne L. Reitemeyer, Financial Advisor, Frailey Insurance and Financial Services, has received the NAIFA Quality Award from the National Association of Insurance and Financial Advisors (NAIFA), the industry’s leading professional association. The NAIFA Quality Award recognizes agents for their commitment to excellence in service to their clients and industry, their pursuit of education and training, and their adherence to NAIFA’s Code of Ethics. Agents who receive this award demonstrate that the products they sell will meet their clients’ needs. “Frailey Insurance and Financial Services has built our business on doing what’s best for our client members. 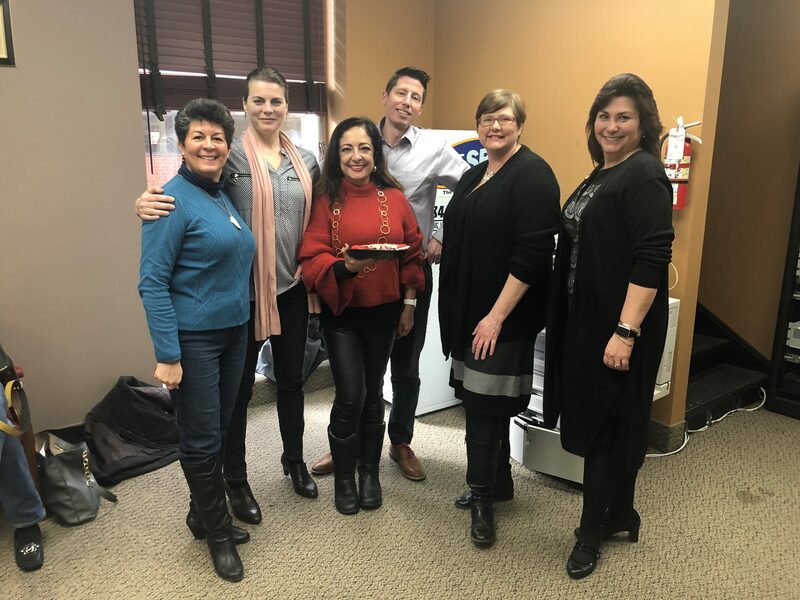 We’re proud that the leading financial services industry association has recognized Yvonne for her ongoing commitment to that core principle”, states CEO Michael J. Frailey. 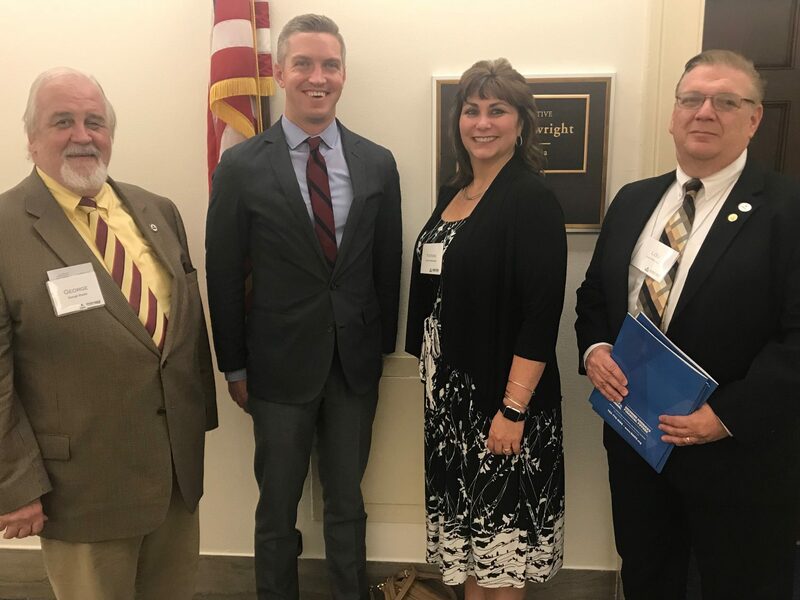 About NAIFA: Founded in 1890 as The National Association of Life Underwriters (NALU), NAIFA is one of the nation’s oldest and largest associations representing the interests of insurance professionals from every Congressional district in the United States. NAIFA members assist consumers by focusing their practices on one or more of the following: life insurance and annuities, health insurance and employee benefits, multiline, and financial advising and investments. 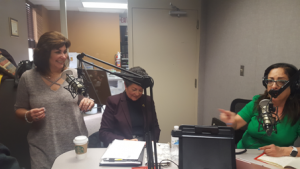 NAIFA’s mission is to advocate for a positive legislative and regulatory environment, enhance business and professional skills, and promote the ethical conduct of its members. Visit NAIFA’s website at www.naifa.org. For more information, contact Yvonne L. Reitemeyer at Frailey Insurance and Financial Services, 570 421-7447 or reitemy@nationwide.com. 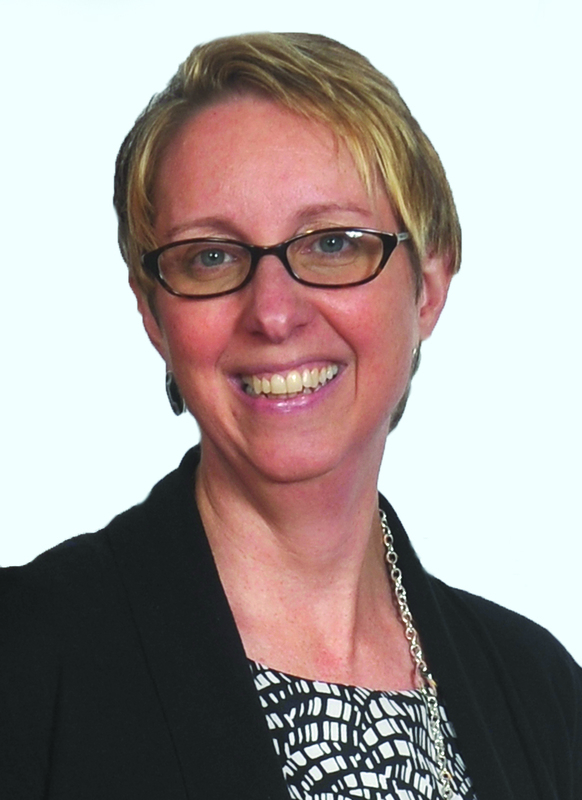 (Stroudsburg) Yvonne L. Reitemeyer of Frailey Insurance and Financial Services, has earned a professional certification in the field of long-term care, Certified in Long Term Care (CLTC). The program is independent of the insurance industry and focuses on providing financial professionals the tools they need to meet their client’s long-term care needs. All graduates complete a rigorous multidisciplinary course that focuses on the profession of long-term care planning. This program is recognized by state regulators, through the granting of continuing education credits, as having provided essential information necessary to the appropriate sale of long-term care insurance. 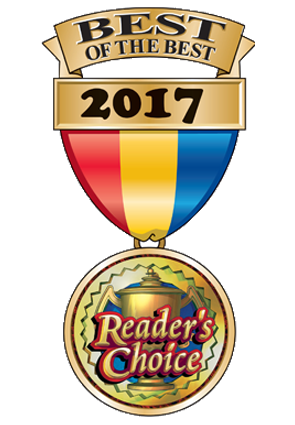 (Stroudsburg) In order to achieve this award, the recipient must meet three specific criteria. These are to assist women to be the best they can be; hold the highest level of professional accomplishments; and provide time and energy to improve the quality of life for others in our community. Frailey-Miller considers herself not only a leader, but more importantly, a mentor. “If I can have a positive impact on another woman in the business world, I am a happy person! I don’t mind sharing my experience, successes, and even failures with them because it may help them to grow into stronger, more confident, proactive and fully engaged members of society,” she states. 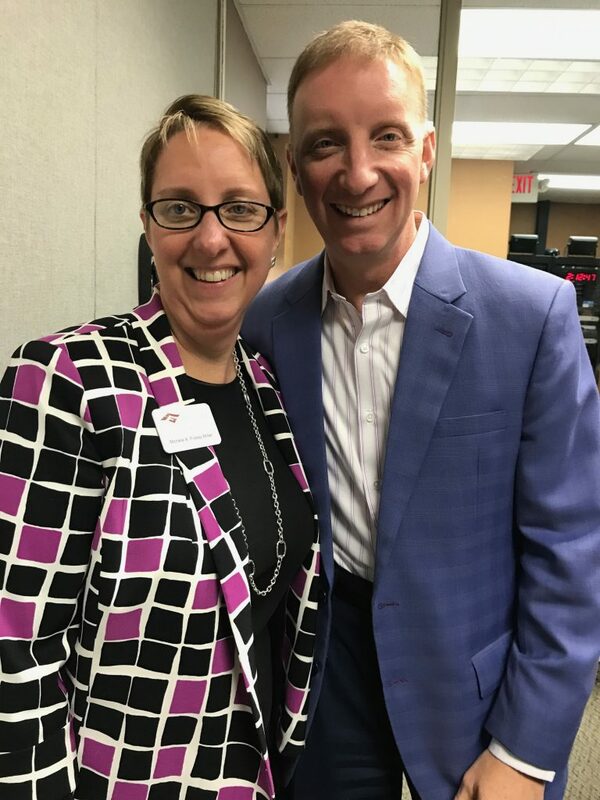 As Chief Operations Officer of Frailey Insurance and Financial Services, she’s happy to say, “Our clients are our extended family; they are the fabric of our community. We strive to keep our focus local, and constantly search for ways to improve and protect the lives of our members. We live to serve.” People, who work with Michele, know she truly practices what she preaches. She has been instrumental in not only growing the family-owned business, but constantly stays on the edge of innovation. engaged citizens. 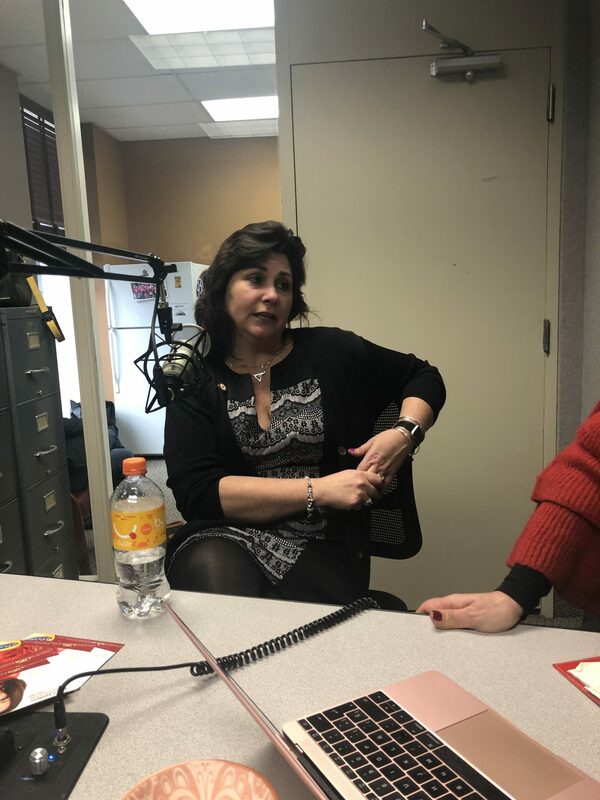 She firmly supports the endeavors of non-profit organizations on an on-going basis, evidenced by her most recent volunteer efforts with the Hope for Strength Breast Cancer Fund. 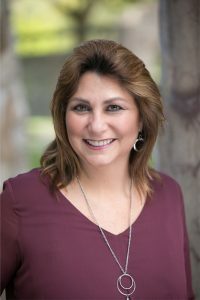 In addition to her extensive involvement with numerous formal organizations, she performs personal outreach and support for widows and newly diagnosed cancer patients. 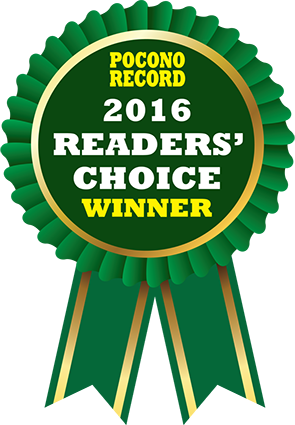 2015 Pocono Record Readers’ Choice Awards – (3) 1st Place Awards! Frailey Insurance and Financial Services won 1st Place in categories of Financial Planning and Insurance Company.Also, Michele Frailey-Miller took 1st Place for Best Insurance Agent second year in a row.